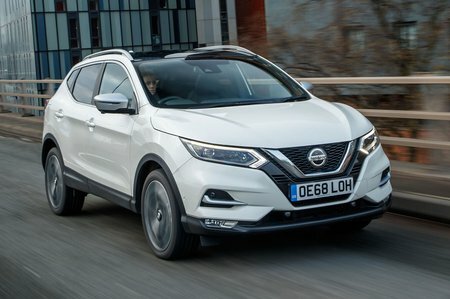 Nissan Qashqai 1.5 dCi  Visia [Smart Vision Pack] 5dr 2019 Review | What Car? This entry-level trim gets most essentials, including air conditioning, a DAB radio, Bluetooth, remote central locking, four electric windows and cruise control. If you can, it’s worth going up to Acenta Premium at least for a few more luxuries, such as alloy wheels instead of hubcaps. The 113bhp 1.5-litre diesel is worth a look if you’re a high-mileage driver. It isn’t particularly quick in terms of outright acceleration, but it delivers its power smoothly and is pretty gutsy from low revs, so never feels frustratingly tardy. It will also prove the most frugal of the Qashqai's engines. If you need more shove or four-wheel drive, look out for the 1.7-litre diesel arriving in 2019.